What's the risk in having a rogue CEO? Many companies understand the risks of having an employee attract the wrong kind of attention on social media, and may have policies in place as a result. But what happens when it’s your own CEO that goes rogue? Last week, Tesla CEO Elon Musk was forced to step down as chair of the firm for three years following tweets he sent in August regarding taking the firm into private ownership, in which he claimed he had “funding secured” which would value Tesla at $420 a share. Under a deal struck with the US financial regulator over the tweets, both Musk and Tesla will each pay a $20 million fine. Today, reputational risk is at the forefront of many companies’ minds, as platforms like Twitter increasingly create the opportunity for incidents to quickly become scandals. But less thought may be going into how to manage the behavior of a senior executive or even a CEO. 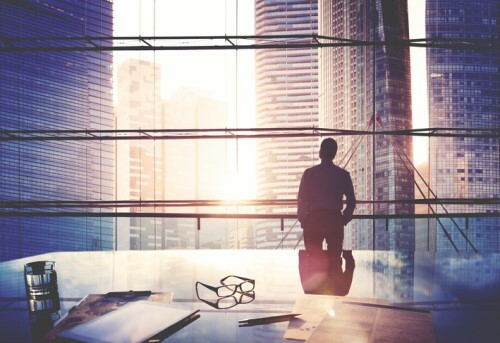 Dr. Nir Kossovsky, CEO of risk management firm Steel City Re, warns that boards and risk managers need to put in place a framework that will go some way to mitigating the risks around leadership going off-track. “Investors and other stakeholders expect a brash, creative, visionary CEO and founder to create value by thinking differently – by seeing possibilities others don’t – and they expect they’ll have to put up with a certain amount of unconventional behavior to get that result,” Kossovsky told Corporate Risk and Insurance. “But they also expect the company – namely the board – to build the normal corporate processes and systems around that CEO to protect against any truly wayward behavior,” he said. As valuable as a charismatic celebrity CEO may be, boards need to have metrics in place to constantly gauge stakeholder expectations and overall corporate reputational value – recognizing that good governance includes governing the CEO, according to Kossovsky. Investors and stakeholders expect the board to have the “strength to exercise independence on strategic issues,” the CEO said. “They expect strong processes to be in place to protect investors against misleading information. They expect board members to be able to tamp down on erratic behaviors that damage the CEO’s and, therefore, the company’s reputation,” he continued. We now see that investors punish companies that fail to put basic good governance and risk management practices in place – that was clearly evidenced when Tesla’s stock price took a hit amid its leadership chaos. In contrast, investors will reward companies that meet those expectations through higher market cap, lower cost of credit and other benefits, Kossovsky said. As reputational risk grows as a focus among the risk management community, the insurance world is being urged to respond with solutions. At the association’s annual conference this year, Airmic’s CEO warned of the growing risk around intangible threats such as reputational risk, cyber and supply chains, and the need for better support from insurers. But reputational risk is becoming largely insurable, and risk transfer should be a consideration for today’s risk manager in assessing intangible risk. Does Tesla have a Musk problem?